The NFL will address player protests during the national anthem at its annual fall meeting next week, according to a letter commissioner Roger Goodell wrote to all 32 teams. He did not elaborate on how the league might change the existing policy. The NFL's anthem policy now states that players "should" stand for the anthem but they are not required to do so. (Darron Cummings/AP) NFL Commissioner Roger Goodell speaks during the unveiling of a Peyton Manning statue outside of Lucas Oil Stadium, Oct. 7, 2017, in Indianapolis. 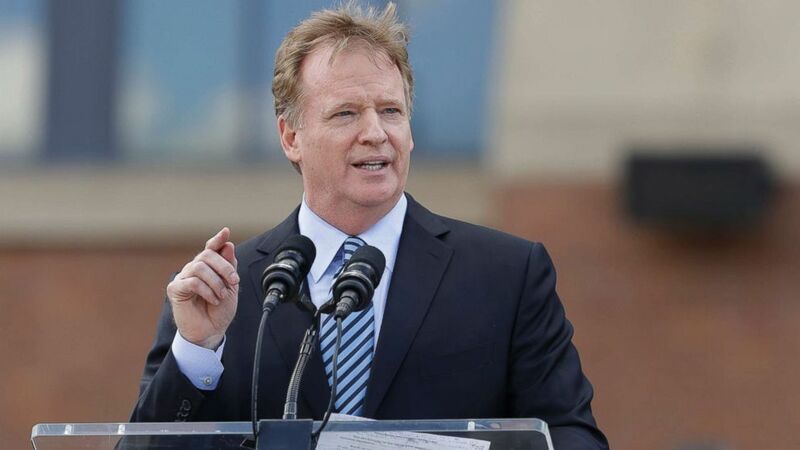 Goodell wrote in the letter, dated Oct. 10 and directed to chief executives and club presidents, that the league has developed a plan to address other ways for players to voice their opinions on social issues. “We want to ensure that any work at the League level is consistent with the work that each club is doing in its own community, and that we dedicate a platform that can enable these initiatives to succeed. Additionally, we will continue the unprecedented dialogue with our players,” he said. The league’s proposed plan, which the teams will review next week, is the result of "many discussions with clubs and players,” Goodell added. “At our September committee meetings, we heard directly from several players about why these issues are so important to them and how we can support their work. And last week, we met with the leadership of the NFLPA and more players to advance the dialogue,” he wrote of the National Football League Players Association, which represents the players. 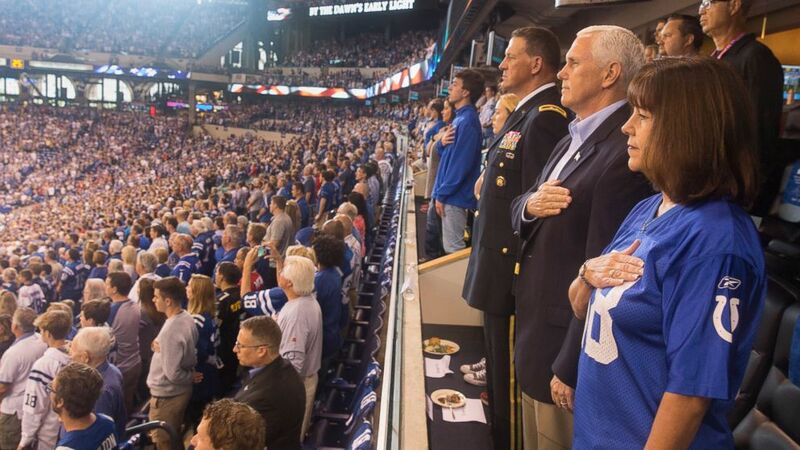 The situation was thrust back into the news Sunday when Vice President Pence left the Indianapolis Colts game after multiple players on the San Francisco 49ners kneeled during the anthem. Additionally, Cowboys owner Jerry Jones said he would bench any player who did not stand for the anthem. DeMaurice Smith, executive director of the National Football League Players Association, tweeted a statement Monday that "no player is disrespecting our country or our flag" and that he looks "forward to the day when everyone in management can unite and truly embrace and articulate what the flag stands for: liberty and justice for all."